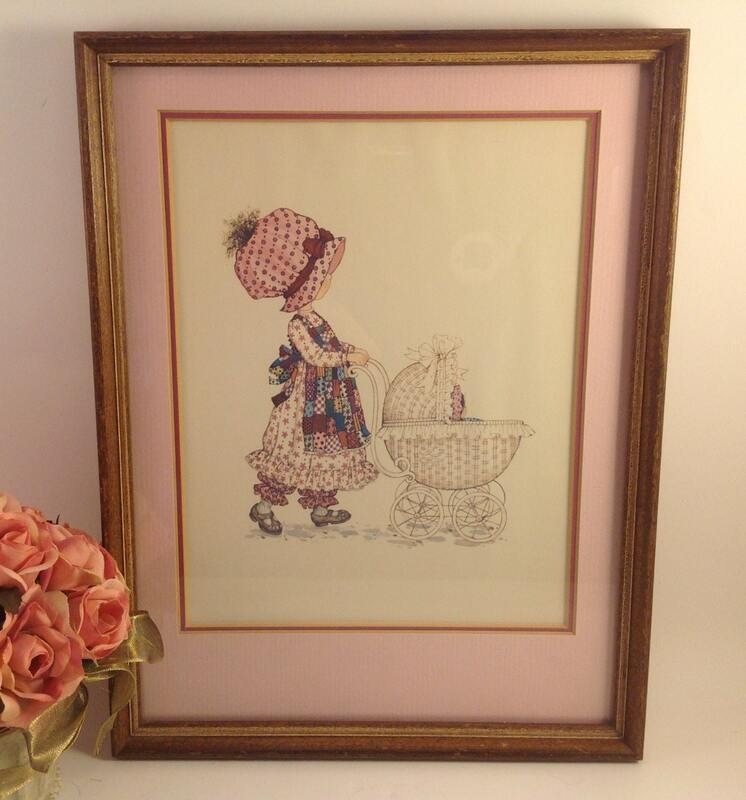 Holly Hobbie in lots of pink! 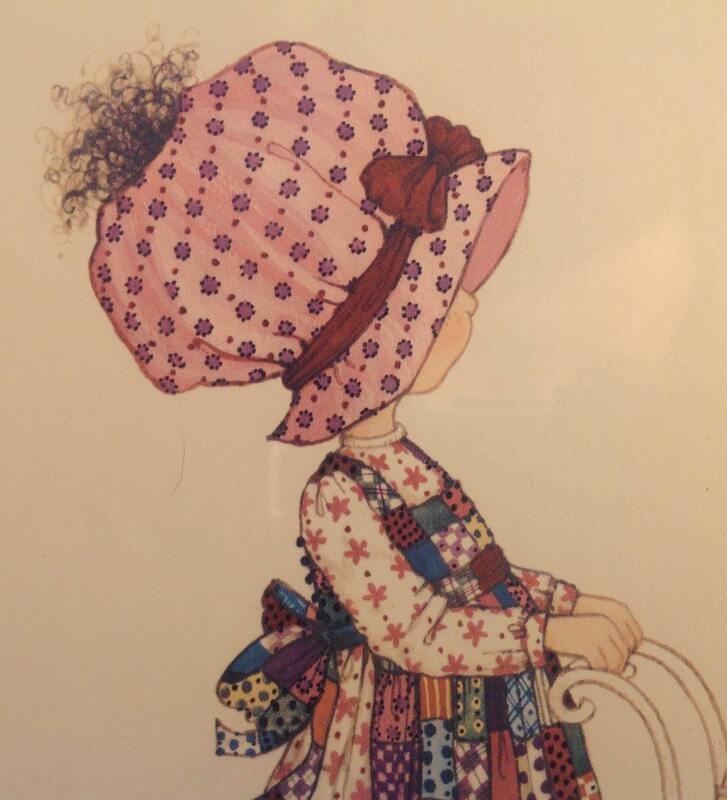 Pink floral patchwork dress, pink hat, pink baby doll and pink double mats. 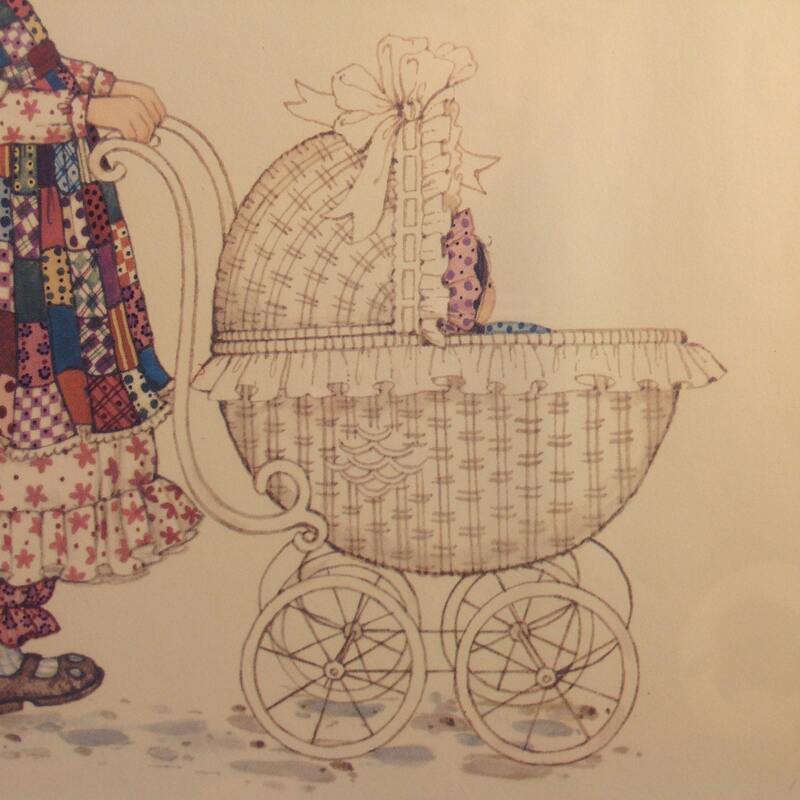 The print depicts Holly walking her baby doll in an old fashioned antique wicker carriage. 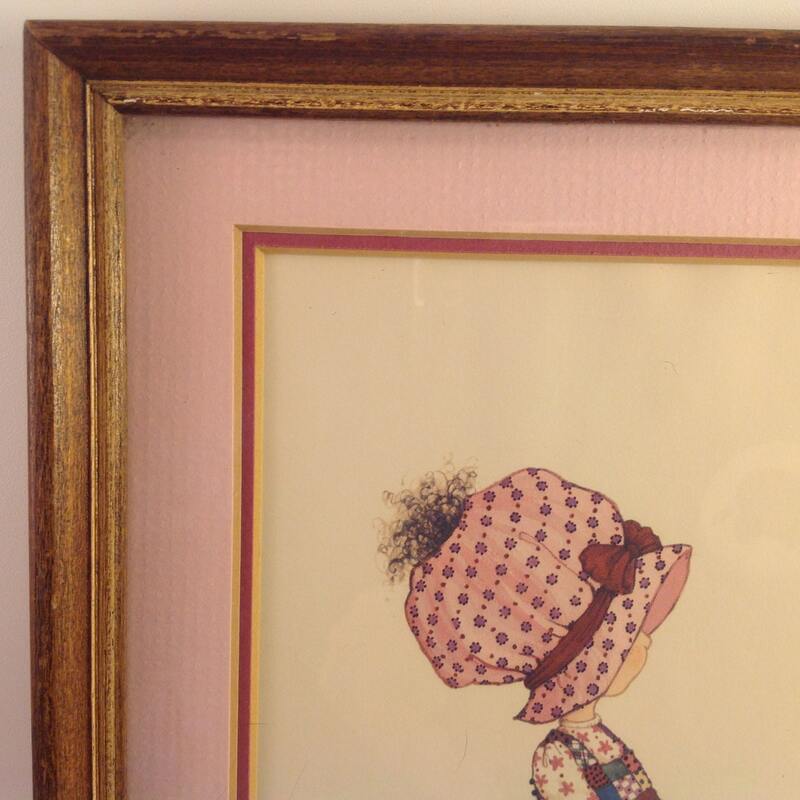 It is framed in a narrow wood frame accented with antique gold. 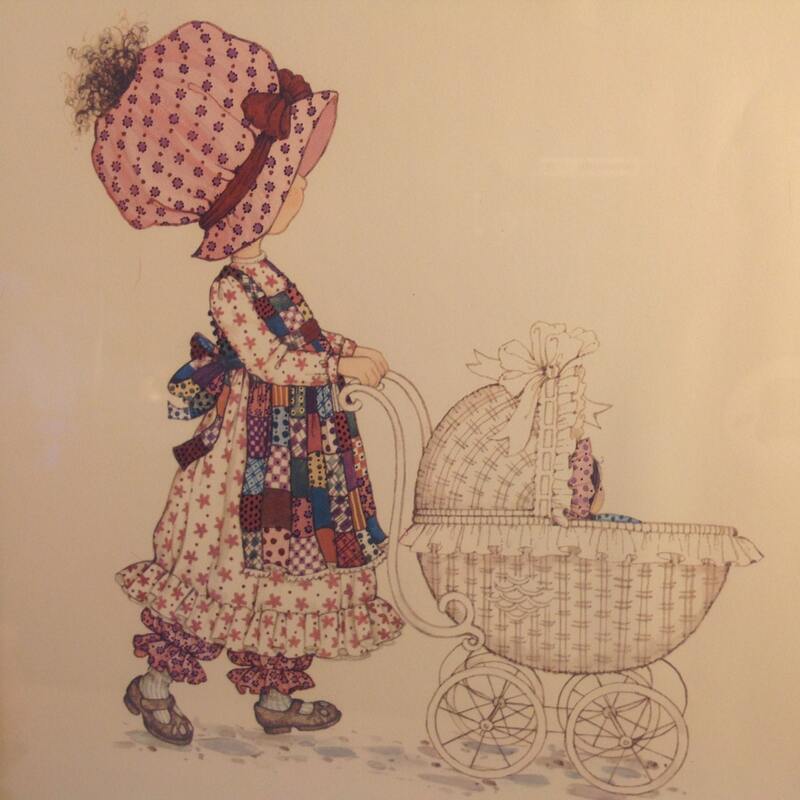 Just so very sweet!